Mazda in the 1960s and ‘70s was on a tear, putting out some of the most fantastic, stylish cars you’d find in the world, not just Japan. Most of these old charmers are recognized for their excellence, and priced accordingly. Also, here’s a 1972 Mazda Luce for $4,500. The original Luce coupe was one of the more interesting cars to ever come out of Japan, with Giugiaro styling and Mazda’s only front-wheel-drive rotary car drivetrain. 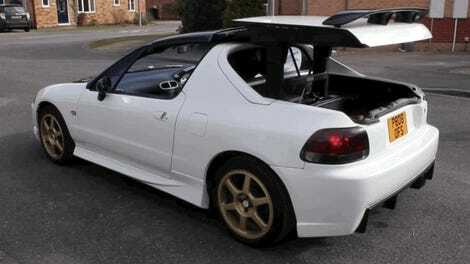 Super rare, super desirable. You can read a fun history of how the Mazda-Bertone thing came together on CurbsideClassics if you’re interested. 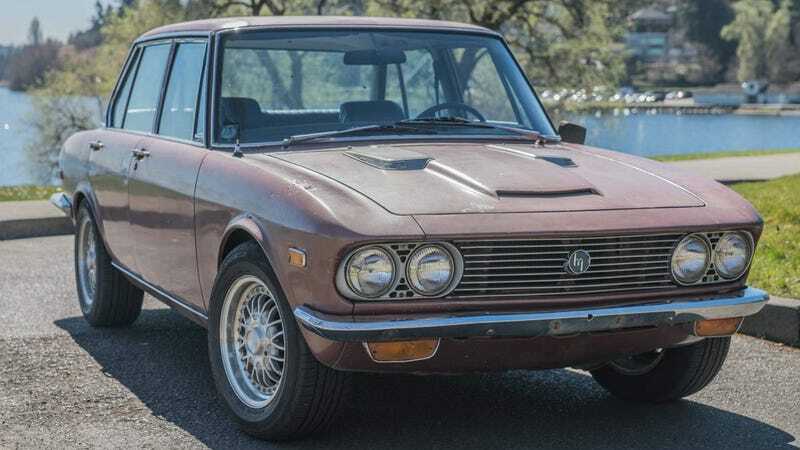 The sedans, though, were only piston powered, and while they were also stylish Bertone sedans, kind of like a more butch BMW or Rover, they were a bit more common and never quite became collectors’ items. This one in Seattle looks rough but seems mechanically sound, with a fat Weber carburetor on its 1.8-liter overhead-cam four and a five-speed manual driving the rear wheels. I can barely keep my own 1970s Volkswagen running, a much simpler car. The notion that I would keep a rare and undesirable car going is absurd. But still, look at this thing. I need it. I should have it. I would be a better human being. Or a more broken one. Find the full listing here. Please. Someone help.